For independent contractors, taxes require attention all year long – whether it's planning for taxes, filing taxes, paying estimated taxes, or even knowing what documents to save for taxes. This guide to independent contractors' taxes can help you with all of these. Independent contractor is a specific term used by the IRS to describe a self-employed person who does work on a project basis (which can be done either from home or in a company's office). The independent contractor's work is not directly supervised by the client on a day-to-day basis. Freelancers, for example, are independent contractors. Taxes--calculating and paying both self-employment and income taxes--are the responsibility of the independent contractor, who doesn't have taxes withheld from pay like an employee. Often independent contractors are sole proprietors. However, independent contractors can structure their businesses as LLCs, corporations, or partnerships. Though the 1099-MISC form has many other purposes, for the independent contractor, it documents self-employment income. Just as an employee receives a W-2 from her employer, the independent contractor receives a 1099-MISC from each client for whom she worked. In box 7 it gives the amount of nonemployee compensation paid during that tax year (if it was $600 or more). In order to file their taxes, independent contractors should receive a 1099-MISC by January 31 of the following tax year (i.e., you should receive your 2018 tax year's 1099 by January 31, 2019). The independent contractor who is also a sole proprietor totals income on all his or her 1099s and enters it on a Schedule C to calculate income tax. However, the compensation information on the 1099 ​form is also used to calculate self-employment tax for the sole proprietor and for self-employed people with other business structures. The self-employment tax is different from – and additional to – income tax. However, you file them together on your income taxes. Self-employment taxes are the contributions made to Social Security and Medicare that employees have taken out of their paychecks through payroll (or FICA) taxes. By definition, all independent contractors--whether structured as a sole proprietor, partnership or LLC--must pay the self-employment tax because they are not employees. In an employment situation, employers pay half of the FICA taxes due and deduct the other half from each pay. The self-employed person pays both halves. The good news is the employer half is deductible. What Is Considered Self-Employment Income? For the independent contractor, calculating self-employment income is usually fairly easy. We simply add up the amounts on our 1099. However, it's not always that simple for everyone who has self-employment income. Anyone who sells items has it more difficult than the independent contractor. But as an independent contractor, sometimes the question is: Would I be better off as an employee? When it comes to paying taxes, employees have it easy. As mentioned above, employers actually pay half the costs that independent contractors incur as self-employment tax. But also, the employer conveniently calculates the payroll taxes (based on the W-4 submitted by the employee) and then sends to the federal and, if applicable, state governments both the employer's and employee's contributions. Independent contractors, on the other hand, are responsible for sending in their own withholding, often in the form of quarterly estimated taxes. This withholding must cover both income taxes and self-employment taxes. Quarterly taxes are due April 15, June 15, September 15 and January 15 (but these can vary slightly from year to year). While it is not necessarily required that independent contractors pay quarterly estimated taxes, a certain amount of tax must be withheld during the year in order to avoid a tax penalty. If you or your spouse is employed, you may be able to increase your withholding from that job's pay to cover the income and self-employment taxes on your independent contractor earnings. (See more strategies to save for estimated taxes.) States may have different withholding requirements than the federal government. 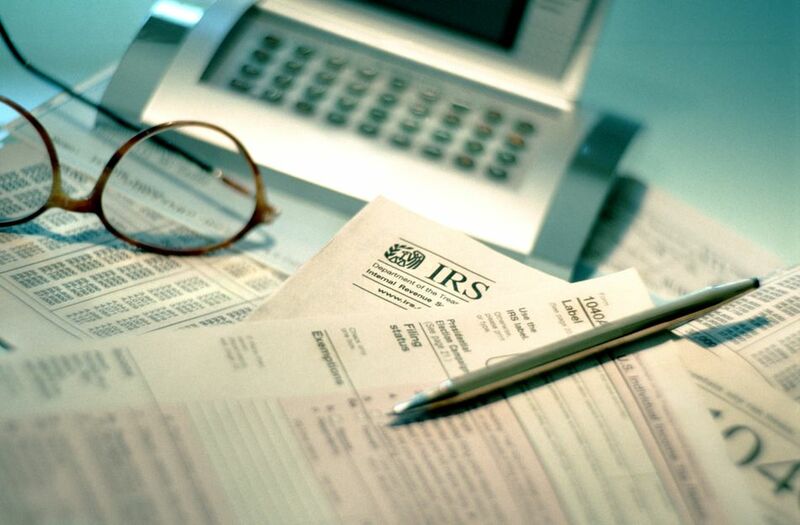 It's a good idea to check with a tax professional if you are unsure about how much to withhold. Not all the tax deductions available to independent contractors are located on Schedule C, like the home office deduction. As mentioned above, half of self-employment tax is deductible. This is deducted on your 1040. Knowing what is and isn't deductible is important to making informed business decisions. When it comes to taxes, independent contractors have to keep a lot of balls in the air. A good organization system to keep track of tax documentation all year long will make tax time a lot simpler. And a big box in the corner of your office is really not what I'm talking about (though it is probably better than nothing). These are some of the types of items you might need to save (and when you might receive them) in order to get your taxes organized. Create a file for each.